Anna and the King of Siam. 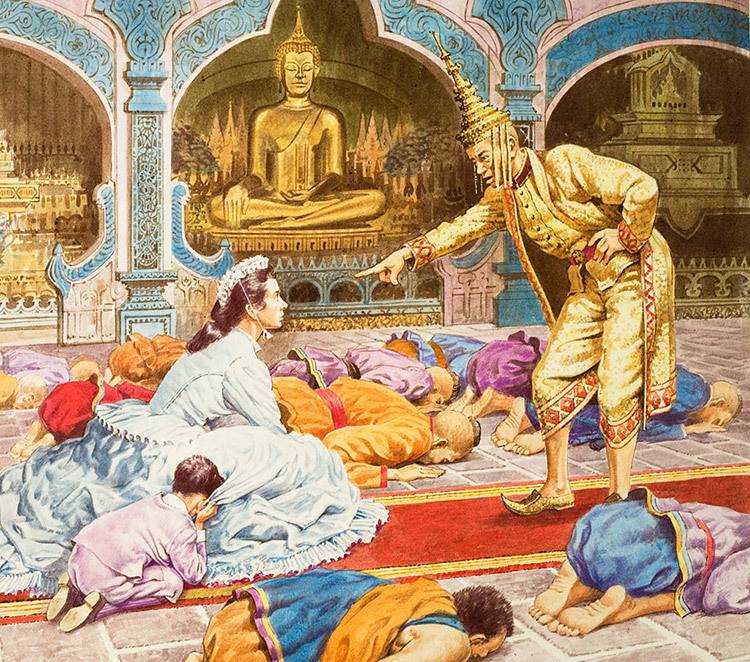 The King and I is a musical by Richard Rogers and Oscar Hammerstein II based on the book Anna and the King of Siam (now Thailand) by Margaret Landon. It was made into a very successful film in 1956 starring Deborah Kerr and Yul Brynner. The plot comes from the memoirs of Anna Leonowens who became school teacher to the children of King Mongkut of Siam in the early 1860s. The stubborn attitude of the main characters is well captured in Robert Brooks detailed original. This is the original artwork for cover of Look and Learn issue no 297 (23 September 1967).